Sinuses are the hollow, air-filled sacs which are situated behind our nasal bones, forehead, and cheekbones. A sinus infection easily occurs when any of the sinuses is filled with fluid as it could easily harbor germs, in such a condition, which could turn to an infection. Sinus infection is usually viral in nature. However, it could also be caused by bacteria or fungi. Sinus infection is often triggered by cold which tends to block the sinuses, thus, leading to swelling and inflammation of the sinuses as well as the buildup of mucus. Other common conditions that could cause a sinus infection include; nasal polyps, cigarette smoke, allergies, a deviated septum, and exposure to air pollutants. Ensure you maintain a balanced diet that is rich in ingredients such as onions, cayenne pepper, ginger and garlic as these ingredients help relieve symptoms of sinus infections. Ensure you stay hydrated all day long by consuming a lot of water daily. Try to treat your cold as soon as possible. Ensure you rest as much as possible and improve the quality of your sleep. Try to avoid stress and stressful activities. you could take up yoga and meditation to help alleviate your stress. Avoid drinks that dehydrate the body such as alcoholic and caffeinated beverages. Avoid smoking cigarettes as it could exacerbate the symptoms of sinus infections. Stay away from areas that are heavily air-polluted. Avoid consuming foods that you are allergic to as these foods could trigger allergic reactions which could worsen the symptoms of your sinus infection. Onions contain quercetin, a chemical compound with anti-inflammatory and antihistamine properties. To treat mild sinus infections, chop a few onions and put in a pot of boiling water. Then, inhale the scent to relieve runny and stuffy nose. Repeat up to three times a day until the congestion clears. Although any onion can work, the scented varieties will give the best results. Red, white, and brown onions have a strong scent, so they will help to clear the infection fast. Oregano herb is characterized by dark green leaves and small purple flowers. It has thymol, a potent antiseptic, anti-inflammatory, and antibacterial agent. To open up sinuses, add five drops of oregano oil in a cup of boiling water and inhale the steam. Another way is to add 2-3 drops of oregano oil in a glass of warm water and drink the solution twice daily. Garlic is a trusted medicinal herb for a sinus infection. It has antioxidants that aid in the repair of damaged cells. Secondly, garlic has expectorant and decongestant properties which help to unclog the sinus cavities. Thirdly, it has flu inhibiting components including selenium and vitamin C.
To ensure the benefits of garlic reach the sinus cavities, boil 2-3 chopped garlic cloves in a pot of water for 10 minutes and then inhale the vapors for thirty seconds. Continue inhaling the steam until you get some relief. You can also add garlic to your breakfast bowls and soups to get rid of the excess mucus. Fenugreek belongs to the pea and bean family. It’s a rich source of magnesium, copper, iron, zinc, and manganese. These minerals have beneficial effects on the respiratory, circulatory, digestive, and immune system. To treat sinus infection, you should brew fenugreek tea by boiling some seeds in a cup of water for 10-15 minutes and then drink three times every day. Since it may have some potential side effects, it’s crucial that you talk to your doctor before you use this remedy. Nasal irrigation is effective in the treatment of chronic and recurrent sinuses. It aids in clearing mucus and debris out of the sinuses. You can prepare your preservative-free solution by dissolving one tsp of salt and half a teaspoon of hydrogen peroxide in warm water. Then, flush the solution into the nostril using a bulb syringe or neti pot to get relief from symptoms of a sinus infection. Cayenne pepper has a high concentration of capsaicin which helps to open up the sinuses. When capsaicin enters your system, it calms the senses while relieving inflammation. Not only that, capsaicin improves circulation and boosts immunity. To curb sinus infection, mix one tsp of cayenne pepper with some honey and eat a few times every day until you get some relief. Horseradish is packed with sulfur which creates the antibiotic effect to relieve sinus infection. Horseradish also aids in the removal of mucus from the nasal infection. The root part of horseradish is most effective in treating sinus infections. To alleviate the symptoms of a sinus infection, put a pinch grated horseradish in your mouth, hold it until the flavor dissipates and then swallow. If it doesn’t work, increase the amount to one tsp. Follow this remedy a few times a day until the infection clears. ACV is a natural alternative to over-the-counter nasal decongestants. ACV contains an array of nutrients including calcium and B vitamins. Furthermore, ACV has antifungal, antiviral and anti-inflammatory properties that are helpful in treating a sinus infection. To prepare the infusion, add two tsp of apple cider vinegar in 8 oz. of boiled water, and then add honey. Drink slowly to soothe the throat. For this remedy to work, you should treat the infection early enough. This spice is used in Indian dishes for flavor. Turmeric works as an anti-inflammatory, decongestant, and analgesic, thus, alleviating sinus pain. Other than that, it contains curcumin which speeds up the healing process. To prepare a concoction, add one tsp of turmeric powder in a cup of warm water and drink every night. You can also add turmeric to your dishes. If you have a sinus infection, carom seeds can offer immediate relief. Carom seeds reduce the swelling of the mucous membranes and help to dilute the mucus. Just crush some seeds, boil them in a pot of hot water and then inhale the steam. Continue inhaling the steam until you are relieved. Alternatively, wrap a few warm seeds with a cotton cloth and place on your neck before going to bed. Tomatoes are packed with fiber and vitamin C which are beneficial in treating sinus infections. They also have potent anti-inflammatory properties that aid in reducing swelling in the mucous membrane and nasal cavity. To make a healthy soup, put fresh tomato juice in a pan, add fresh garlic and a pinch of salt. Simmer for 15 minutes under low heat and drink once every day. A hot compress is suitable for treating sinuses accompanied by fever. Ideally, a warm compress will loosen secretions making it easier for you to blow the nose. Simply soak a cloth in warm water (not hot) and press on the bridge of the nose. Make sure you recline on a chair to ensure the washcloth stays put. Carrot juice comes with an array of health benefits. It’s a powerful anti-inflammatory and is a strong immune booster. To fight sinus infection, you should drink a glass of fresh carrot juice in the morning. It also contains vitamin A and is a healthy antioxidant that can cure diabetes and high blood pressure. You can also add raw carrot to your salads. Acupressure is an energy-based healing technique that stimulates the flow of energy in your body. To relieve the symptoms of a sinus infection, use your fingertips and press the nose bridge next to your eye socket for five minutes. This pressure point can also be stimulated with needles. Essential oils like lavender oil, chamomile oil, rosemary oil, and tea tree oil can provide some relief from swelling, blockage, and inflammation that comes with sinus infections. You should use a diffuser to disperse any of this oil into the air. Besides strengthening your immune system, basil has an antifungal, antibacterial, and expectorant effect. Also, it contains eugenol, a compound that fights allergic reactions and opens up the congested airways. To treat sinuses, make a decoction by boiling ten basil leaves and black pepper in 500ml of water. After that, strain the solution, add a bit of honey and drink while still warm. You should avoid exposing yourself to cold for two hours after drinking this tea. Lemon balm has strong antispasmodic, antibacterial, and antioxidant effect. Apart from inhibiting the bacteria, it helps in stopping the bad breath. To make lemon balm tea, boil some dried lemon leaves in a cup of water for 15 minutes. You can either gargle to clear your throat or drink up to four cups a day. Grapefruit is effective in relieving nasal congestion, pain, and other symptoms associated with a sinus infection. It works as a natural antibiotic, decongestant, and anti-inflammatory. The extract is derived from the citric pulp and seeds. Simply add 3-5 drops of grapefruit seed extract in 500ml of water and drink three times a day. It’s safe for people of all ages. Eucalyptus oil can help to heal an inflamed mucous membrane. It’s effective when used as a steam inhalation. Another way of using this natural oil is by mixing it with a carrier oil (almond oil or olive oil) and then massage on your throat and chest. Also, you can apply a few drops of eucalyptus oil on the skin to relieve a clogged nose. Refrain from using this oil if you suffer from asthma. Green tea comes with a myriad of benefits in treating sinus infections. It opens the airways, breaks up the mucus, and boosts the immune system. When you take green tea on a regular basis, it would ease symptoms such as swollen nasal tissue and a runny nose. You should drink this tea while still hot. While it’s commonly consumed as a beverage, green tea is also available in the form of extract. When your body is producing more mucus, you’ll feel dehydrated. To replace the lost fluids, you should take a lot of water. At the same time, avoid caffeinated and alcoholic beverages. That way you’ll keep your sinuses hydrated and most importantly your white blood cells will work efficiently. Fermented cod liver oil contains vitamins A and D which aid in reducing the inflammation of the mucous membranes. Furthermore, it’s packed with vitamin C which reduces the frequency of attacks from sinus infection while boosting the immune system. The oil also balances the hormones and eliminates many skin conditions. To treat sinus infections, pour one spoonful of fermented cod liver oil in your mouth, hold for a few seconds and then swallow slowly. Vitamin C helps to shorten the duration of sinus infections. It boosts the body’s immunity and aids in the absorption of iron. It’s also a proven antioxidant that relieves bacterial and viral infections. To curb sinuses, you should consume 1000mg of vitamin C on a daily basis. Consult your doctor before taking any supplement. Pineapples are rich in bromelain, an enzyme that reduces nasal congestion. It’s also useful in reducing inflammation and swelling. You can either drink fresh pineapple juice or take bromelain in the form of supplements. 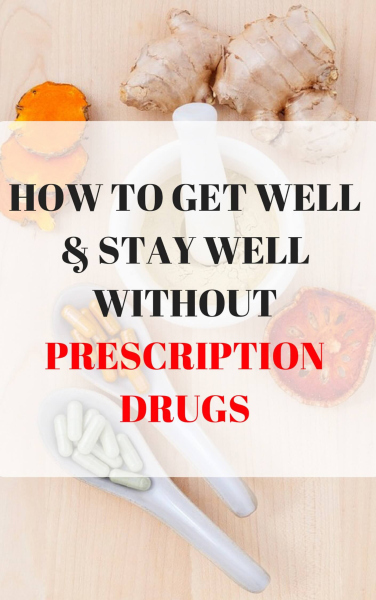 Consult your healthcare provider before taking any supplement. This perennial herb is native to North America. It contains active substances that reduce pain while boosting the immune system. 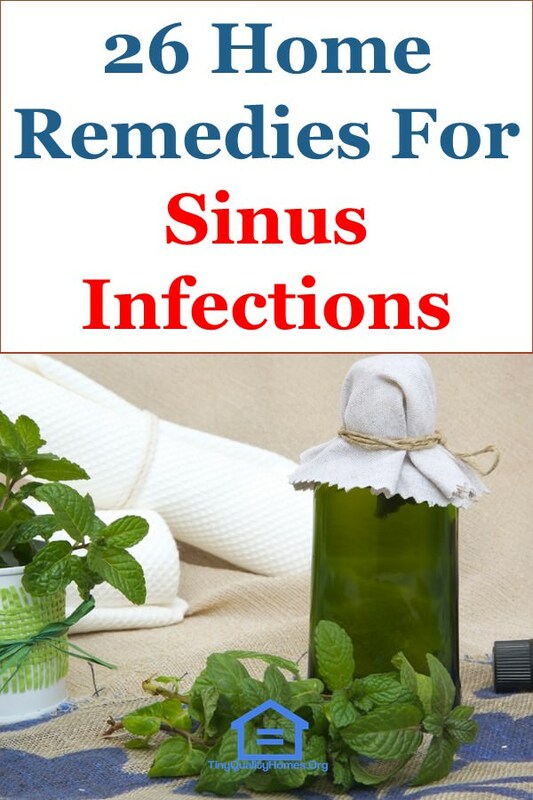 It also helps to soothe the throat and eliminates any headache that comes with sinus infections. You can take the herb in the form of tincture or supplements. It’s effective when you use it after the first signs of infection appear. This herbal tea has a delicious taste and gives your body a cooling sensation. It contains methanol, a chemical that calms the inflamed mucous membranes in the sinuses. Apart from that, it works as a decongestant. To brew peppermint tea, steep a handful of peppermint leaves in a cup of water for 10 minutes. Drink the tea two to three times a day.